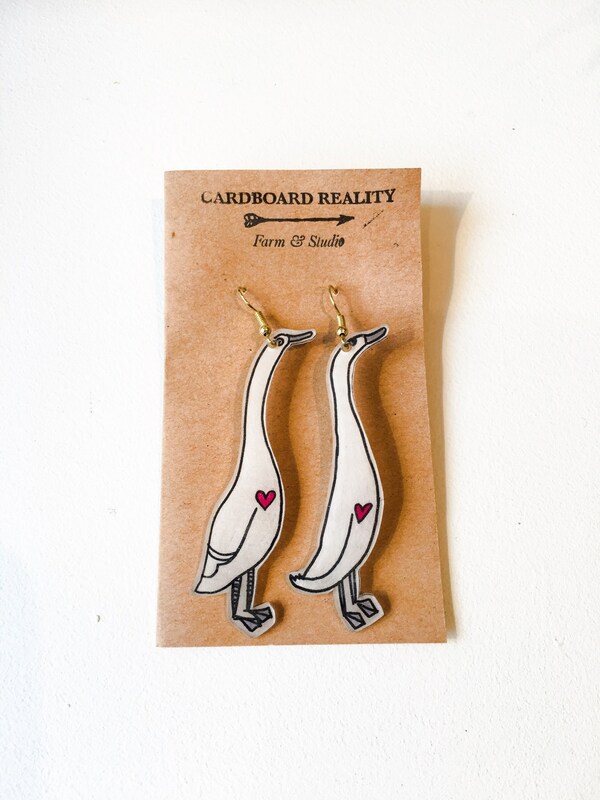 Two Indian Runner Duck to keep you company, and whisper sweet quacks into your ears! Wear them alone, or sport a whole flock! Each set of earrings is one of a kind, hand drawn and made with love on our farm. Have a duck of your own at home? 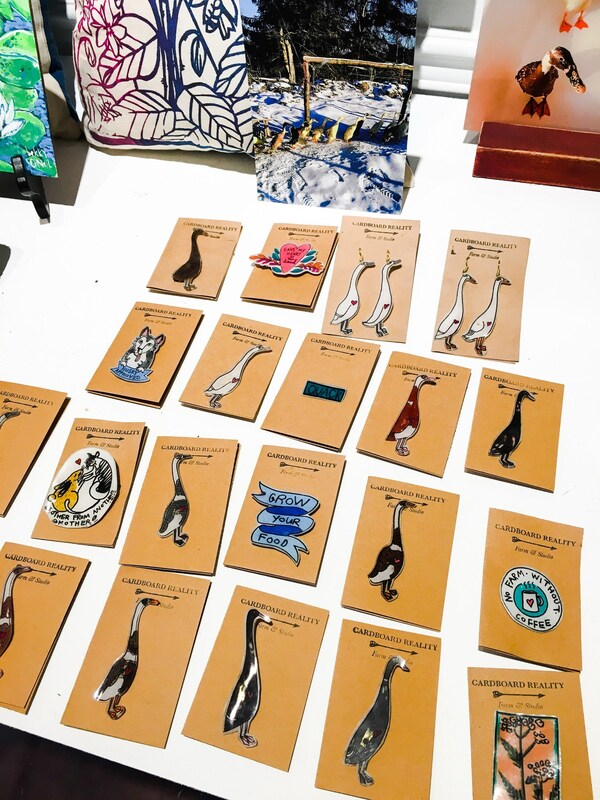 Check out our listing for custom duck pins, or send us a message to inquire about custom earrings. 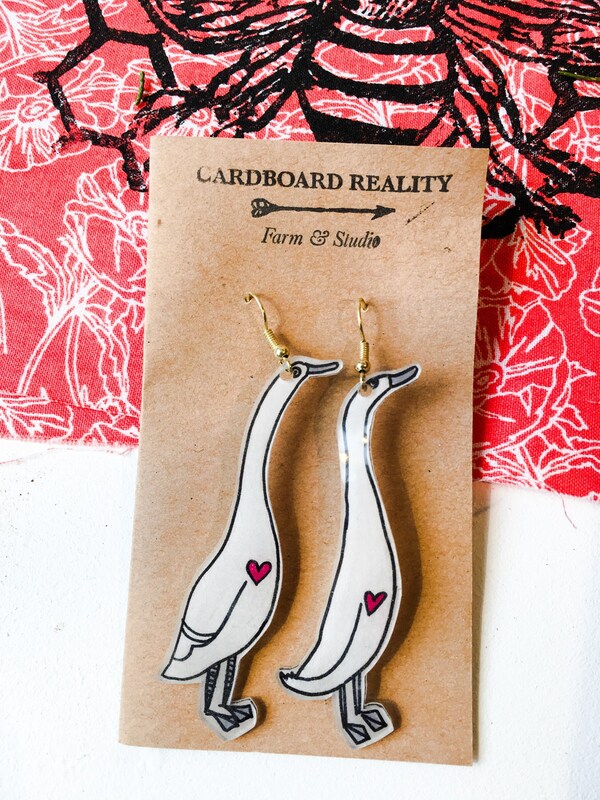 Sales from Indian Runner Duck Earrings go to maintaining our beautiful flock of Indian Runner Ducks. Check out photos and videos of them on our website!